That was what we heard from multiple people. The floor was packed all night as Vance promised. Vance was a consummate professional and helped me get through my multiple anxieties surrounding the music. I can't recommend them highly enough! The Groove Spot Band Was The Highlight Of Our Wedding! The Groove Spot Band was the highlight of our wedding! Everyone keeps talking about how much they loved our band. They are so talented and were able to keep our guests on the dance floor all night! 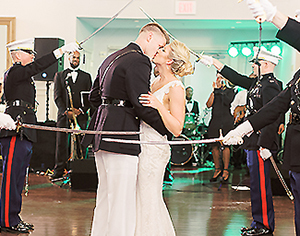 When planning our wedding, we weren't sure if we wanted to splurge on a band and thought we could have a great wedding with a DJ, but I'm certain our wedding wouldn't have been as memorable and fun without The Groove Spot Band; I'm SO glad I decided to hire them! The band's leader Vance is very personable and responsive. He went over to check out my venue before we hired them to make sure they could fit in the small ballroom of our venue. He also responded to my countless emails and calls with questions that popped up throughout the planning process. Hire this band! You won't regret it! Vance and the Groove Spot were amazing to work with! They provided the entertainment for our charity event for the second year in a row and we will definitely be using them again. Vance was very responsive when I had questions about their set up and timeline and called a few days in advance just to touch base on logistics. We had Vance make some announcements for us before their first set and he was very willing to accommodate! Once they got started there wasn’t a person sitting down. The whole crowd was on the dance floor! Even our photographer who does many weddings kept commenting on how great the band was! We were able to raise more than our goal for our charity and I know the Groove Spot played a big part of that. Professional. Responsive. Energetic. The whole package. Thank you!! Best Wedding Band in the extended Maryland area!! Vance and his team were 12/10 amazing. They bring such energy and love to their events that they elevate any event that they play. Their mo-town/classic vibe is perfect for all ages of dancing and they have fantastic interaction with the crowd. My favorite song of the night was Proud Mary when all of the girls were on the dance floor having a blast with the singer. Everyone raved to me about them after the wedding and it was not shocking in the slightest. I would hire them again in a heartbeat for any event that needs dancing. If you wanna dance call Vance! This band is the real deal. My fiance (now wife) and I hired The Groove Spot Band for our wedding and they were awesome! We are both professional musicians and had heard them while we were out with friends one night. We tried to go upstairs at the bar to listen to them because they were so good we had to see them play. To our dismay, we could not go see them however, because they were playing a private event, a wedding reception. With our wedding coming up and still thinking about options for music I began doing some research and trying to track down contact info for this amazing band. Through the event coordinator at the venue they were performing, I finally got in touch with the band that sounded so amazing! I called Vance and he was immediately very professional and polite. I told him our date and they luckily had not booked any events that weekend and we hired them for our wedding reception! Vance and his band were on top of everything for the music. They brought their own PA system, they have multiple horn players and singers, they have a full band set up including guitar, keys, drums, and bass. Every member of this band is a top notch musician. They are seriously amazing, we were so lucky to have had them at our wedding. They got the whooooole room up and dancing, no lie, even my 90 year old grandma was getting down. If you are thinking about hiring this band for your wedding, don't wait another second, just do it, they are AMAZING! We cannot say enough good things about Vance and The Groove Spot Band and Show. My husband and I hired them after dancing the entire night to their music at a friends wedding and knew they were the ones for us and they DID NOT disappoint. My husband and I are professional dancers and about 70% of our guests had some kind of dance experience the floor was PACKED the ENTIRE night. I can honestly remember them only taking one break! They absolutely KILLED IT, as soon as the first song started people swarmed the floor and didn't leave. They played a little extra at the end and hit all of our requested songs. Vance was super accommodating and kept me on track in terms of getting special songs sent in and was very helpful and kind to our coordinators as we only got them my husband and his moms song about 3 hours before the reception... I was very bad, but they were AMAZING. We also added some brass which for Motown is an absolute must, you literally cannot beat the price for the quality that you will receive from these guys. They worked so well with our coordinators on announcements and stayed on track without being "overbearing MCs", they gave the night a perfect flow (If you haven't already, hire a day of coordinator!). Do yourself an your guests a favor and hire these fabulous and insanely talented people! They are so, SO good! Vance Wilkerson and the Groovespot Band is a great band and I would recommend them to anyone planning an event. They were absolutely fabulous at my daughters wedding in December. The dance floor was packed from the moment they started playing. Their music appeals to all generations and they get out on the floor with the guests and really get a party started. I used all ten members and used their horn section for a cocktail hour. Would use again in a heartbeat!!! Vance the contact for booking great to work with too. Hey were GROOVIN all night!! The most memorable night of my life. I am so grateful to these awesome musicians. People were blown away and had an amazing time on the dance floor. Loved chatting with them and would highly recommend. Hiring The Groove Spot Band for our wedding was one of the best decisions we’ve ever made. Vance, the band leader, was a pleasure to work with throughout the entire process. My wife and I’ve never seen a dance floor more packed in our lives. When a band can pull every guest from age 3 to age 97 onto the dance floor and keep them there all night, you know you’ve hired professionals. Do yourself a favor and look no further. Hire The Groove Spot Band for your event!! Band and band members were highly professional as well as competent musicians. Multiple guests raved about the "great band", "wonderful music", and "tremendous voices". We were also delighted that you dressed to match the event's theme and colors. We appreciated your early arrival and supportive nature. Taking request was also a plus. Thanks for a job super done! Would highly recommend you to others. Call any time you need a reference. Having had an opportunity to experience The Groove Spot Band before the wedding we were very excited for the opportunity to book them for our own wedding. Vance Wilkerson was professional and extremely easy to work with. The band did a great job reading the crowd and playing the right songs. Every guest we spoke to were blown away by the band and had an amazing time. I highly recommend The Groove Spot Band. 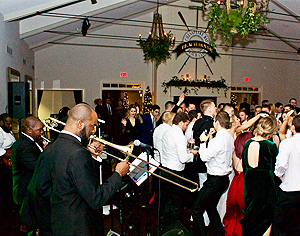 If you want your event to be a dancing party hire Vance and The Groove Spot Band! We thoroughly enjoyed this band. As my one friend said "I wish I had a video of the mass exodus from the tables when the dance floor was opened to everyone!". She said it was like a wave everyone just got up and started dancing! We had such a good time. The lead singer was excellent and definitely hire the horn players!! Groove Spot we thank you for the fun music, energy and banter with the guests. A good time was had by all! We had a great experience with The Groove Spot. They were very responsive leading up to the wedding always responding within 24 hours, usually faster. We were able to provide a list of songs which were all played at the reception. They were very accommodating and we also were able to use their equipment for the ceremony (microphone for officiant) and played recorded music for the ceremony and during our outdoor cocktail hour. They set up their equipment in the designated area without any issues. Vance asked in advance about dress code and at the event all musicians were professionally dressed and appropriate for our more casual wedding. During the reception, the band was amazing and all the guests commented on how they really made the party. Kim was our MC for the reception as well and did a great job of introducing everyone and getting everyone excited to dance. We would definitely hire them again for any event where we would want a high energy Motown band! You guys are the BEST Thing since Sliced BREAD!! And we're not just buttering you up...You Guys Killed IT!!! Thank you for bringing the house down at our Wedding !! We could not have asked for a better Band.. Thank you so much!! If I had a dollar for every person that has come up to me and said that we had the best wedding band they’ve ever seen....I’d probably be rich by now. Groovespot brought the house down. They worked the crowd, sounded amazing, got everyone dancing and even played a few special requests. 11/10 would recommend. We loved The Groove Spot Band - they were so fun that the crowd got them to play 2 encores, and the dance floor was packed the entire night. This band is absolutely the BEST. We have hosted two weddings with them and I hope to find an excuse for another party! We danced all night long. Be sure to book the extra hour, you and your guest will want it. I gave your band a "5.0" in the Wedding Wire. It was a blast and I hope to have another party with you guys. No more daughters, so the next one will be for me. We were thrilled from beginning to end. Vance was a pleasure to work with! All of my guests from LA to New York and Baltimore are raving about this band. The dance floor was packed the entire night!!! The Groove Spot Band & Show performed at my husband’s 50th birthday celebration on Friday, April 20, 2018. My experience with Vance Wilkerson, Owner of the Groove Spot Band and Show from our initial contact, to executing the band performance was nothing short of exceptional. I was very meticulous in the selection of our entertainment provider, and The Groove Spot Band & Show exceeded our expectations every step of the way. Vance was prompt in answering our initial inquiries, flexible with regards to appointment bookings, and very competitive on the price given due to the complexity of our request. I wanted to take this opportunity to thank The Groove Spot Band & Show for your service and professionalism. We truly feel that we lucked out by finding entertainment as talented, professional, and friendly as The Groove Spot Band & Show. Everyone at my husband’s party praised the band on how great they sounded. We not only look forward to referring our friends to you in the future whenever they are looking for entertainment, but we will be using your band again sometime in the future ourselves! On this past Friday, April 20, 2018, my wife gave me a 50th birthday celebration in which the Groove Spot Band and Show provided the music. To be honest, I had not heard of the band prior to my wife telling me they were going to play at my party. I was a little apprehensive about the band, but I knew there was nothing that I could do to change it and remain happily married. Needless to say, my wife made the right decision on obtaining this band. Don’t tell her I said that. Let’s just say The Grove Spot Band and Show were lit, they were on Fleek! (those are words used by the younger generation to express how good/great something is). By the time my party ended, my phone began blowing up with calls and texts telling me how much they enjoyed the party in particular the music that was provided The Groove Spot Band and Show. Thank you Groove Spot Band and Show for making my party the best ever. The Groove Spot Band is exceptional !!!! They interacted with the guests and were highly professional . I look forward to our next family party to have the band join us again . Groove Spot Band makes the party in my opinion !!! They are superb!!!! The Groove Spot Band & Show had everyone at my wedding up and dancing. They played everything we wanted to hear and sounded great doing it. Would highly recommend! The Groove Spot made the part!! The fundraising event was very low key and dull until The Groove Spot began playing. They were positive, engaging and enormously talented. The event I attended was for Downs Syndrome kids and adults; The Groove Spot engaged these special young people and gave them a fun and memorable night. I loved the Groove Spot so much I have booked them for a big new signature festival event for our Recreation and Parks department !! Vance was awesome, friendly and professional. I cannot wait until I can see them again and dance all night!! 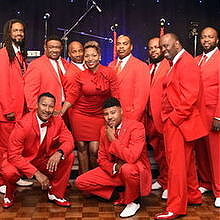 I have been to 2 weddings where the Groove Spot Band performed and after those experiences, I knew I wanted them to perform at an upcoming gala. They were amazing! They engaged the crowd and 2 guests actually want to book them for their events! They are the best band in the area as far as I’m concerned! The Groove Spot is a fun, talented, professional and entertaining ensemble of musicians. They have a song and genre selection that far out weighs any other band. They get into the crowd and love when you participate. They will even join you on the dance floor!! If you want to dance ALL NIGHT, then you need to hire the Groove Spot!!! The band delivered as promised. On time. Professional. Appropriate dress, organized and wonderful and appropriate music choices. The band was awesome. They played a variety of music that really got the crowd moving. I really liked how they engaged the crowd, and made it a fun evening. I would most definitely use them again. Working with the Groove Spot Band & Show was an absolute pleasure. From the start it was clear we were talking to professionals who understood the business and how to work with a clients vision to meet expectations. They were responsive and accommodating in the planning stages. The day of the event they were on time and dressed and prepared to get to work! They needed very little guidance from me allowing me and the team to focus on setting up the venue for our guests. When the show got started it was clear we had made a FANTASTIC selection! They looked great, they were engaged and interactive with our guests, and most important they sounded FANTASTIC! If you're looking for a band .... you can stop; you've found them. the Groove Spot Band & Show will keep your party moving and on the dance floor. Trust me you will *not* be disappointed! If we could mark 10 stars we would. The Groovespot showed up and absolutely rocked the house. Vance and his band were true professionals from start to finish—we cannot recommend them enough. They learned and played out first dance songs perfectly and beautifully. They will cater to your set list, if needed. We did not opt for that, and let them do their thing. They read the crowd, got everyone dancing and made our day truly special. Book them! The first time we saw your performance, we fell in love and knew we wanted you to be a part of our event. We love how you get the audience involved and the variety of music played. Awesome voices, awesome musicians. We look forward to having you back next year. Thank you for being a part of our special day. 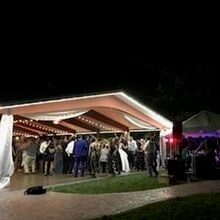 I recommended Groove Spot to my sister after attending a wedding where they performed and she booked them for her son's wedding. Wow! I danced for 3 hours to amazing music! I haven't danced that much since college, maybe ever. I was not the only one. The dance floor was packed and I saw family members dance who 'never dance' I highly highly recommend Groove Spot. Just make sure that you have a BIG dance floor. You will need it! Groove Spot played for my son's wedding that we hosted at our farm. From our first inquiry to the evening of the event, they were top notch. They lived up to their promise. Our guests from 22-85 were on the dance floor non-stop. I'm sure they made many new friends. You cannot go wrong with them for any type of affair that includes dancing. Thank you to Vance and the entire band for bringing the house down. The Groove Spot Band and Show did a great job. They played music that kept everyone on the dance floor for hours. They were flexible when our caterer was running late and were able to work with us on timing to keep the party going and fun so no guests knew the timing was off. I would recommend them to anyone, whether for a wedding or another event. We also had multiple people ask for their information, which I take to be a great endorsement of the Groove Spot Band and Show. To truly add a festive mood and engage all your guests on the dance floor at your wedding, choose the Groove Spot Band and Show! They will ensure a memorable event! Vance and The Groove Spot were the best wedding band we ever been around. At one point they literally had every single person at our wedding (140 ppl) on the dance floor at one time. I have heard from multiple guests that it was the most fun wedding they had ever been too, credit to The Groovespot! Amazing! Amazing! Amazing! We can't stop talking about The Groove Spot! They were the best money we spent on our wedding! Our friends and family had the best time and were on the dance floor the entire time. We are already looking to have another party just so we can hire The Groove Spot again. Vance was also tremendously helpful and professional throughout the entire process. Thanks again for everything - you all were superb!! These guys rock! (and roll!) Fantastic music, very professional yet fun, accommodating. We threw them a couple curves (small setup area, very little setup time) and they responded like champs! They also allowed the fathers of the bride and groom to stand in with the band for a couple songs, which the newlyweds said was one of the highlights of their wedding. Most importantly, The Groove Spot had everyone - from age 6 to 84 - dancing and singing and enjoying the reception. They are high energy, engage the crowd, and very easy to work with. Highly recommend The Groove Spot! I just wanted to say again what an awesome show you guys put on at our wedding. Thank you so much, it was beyond incredible. This review is for The Groove Spot Band (TGSB), who played at our wedding on July 29th at The Belvedere in Baltimore, MD. I will start this by saying that TGSB absolutely brought the house down!!! We are still in awe of the energetic and pitch perfect performance, and guests are still raving about the fun they had grooving out on the dance floor. These cats are smooth! First of all, we experienced TGSB when they performed at the Sylvan Theatre on the National Mall in DC on 6/17/16. The band put on a great set of Motown Standards with outstanding musicians and male/female vocalists, and we were hooked and knew right away we wanted them at our July 2017 Wedding. We met Vance, TGSB Band Leader, and he immediately got to work with us on giving us various demo samples on their website, their EXTENSIVE setlist, and hiring options. Their prices were extremely fair for a band of their size and caliber, and we inked a deal with Vance for TGSB to play our cocktail hour with 4-piece band playing instrumental jazz standards, and for the reception an 8 piece band (2 lead vocalists, 4 main musicians, and a 2 piece horn section). Over the next year, Vance worked with us to refine our desired setlist from their selection, and add on some special requests (made ahead of time). For our entrance and first dances, TGSB accommodated our requests to have music played off an IPOD, so we could keep the attention on the Bride and Groom for those parts. Vance was the consummate professional, and worked with us and the venue to coordinate all the small details for efficient operation and setup ---- In fact Vance took the time out of his busy schedule to meet us for lunch and finalize everything. Vance accommodated our special requests, and even worked with us on setting up a special Soul Train Line dance for us. We requested TGSB's top vocalists, Ondrea to perform based on Vance's suggestions and their demos. NOW THE WEDDING - We are still shivering about how amazing their performance was. Vance was an amazing MC, Ondrea's voice almost brought us to tears with her renditions of Whitney, Aretha, and Gloria Gaynor. The musicians played like a well-oiled machine that made us feel like Barry Gordy himself was giving a blessing to our wedding - talented professionals to the core. What did bring us to tears was the surprise they had for us ---- Our fathers conspired with the band to jump in and play the rhythm and base guitar on "My Girl" and "Midnight Hour". TGSB and Vance absolutely made our night and had our guests (young and old) dancing until the end. They were even gracious enough to extend their set 15 minutes because the schedule went long. We can't thank TGSB and Vance enough for making our wedding memorable, and fully recommend that anybody looking to book a dynamic Motown band, this is it. ADVICE - FIRST of all, please understand they are a Motown band and they are at their best playing in this style. Their huge catalogue does include Top 40 hits (Bruno Mars, Pharell, BlackEyedPeas etc), which they absolutely crush, but I recommend any special requests stick to their formula. They can play anything, but respect their sound (as Motown lovers we took this seriously). Go with the horn section! The sax and trumpet players are fantastic and really provide the jet fuel to the groove. If you have special requests, work them out far in advance so that they can practice - just common courtesy. Their videos online are awesome but don’t do them justice. Go see them live like we did; contact Vance and enquire about any public performances they have coming up. nIn conclusion, TGSB made our wedding something special beyond our wildest dreams and we can't thank or recommend them enough. The band was beyond excellent! They made our reception. They kept everyone on the dance floor. The songs that I picked for the first dance, father and daughter were awesome. My friends are still talking about the band. I have a friend getting married in September who would like them to play at their reception! They were professional and so personal. I can't say enough about them. We are going to see them in July. You will not be disappointed! Where do I start... What an outstanding and professional band!! When they arrived, they were all dressed according to my "luau" theme, looking rather spectacular. The moment they began to play, all of my guests were blown away. They played many great songs that had my guests rocking to the beat and continuously hitting the dance floor...which never stopped! They were GREAT!! If you're looking for a great band with variety and able to get your guests moving, then you should book "The Groove Spot Band and Show" at your next event. I am...!! The Groove Spot Band simply made our Ball FUN! The music was dynamic, the singers were graceful, and somehow they always played the perfect song. Thank you for a wonderful time, our guest are still raving...we danced all night! The band was so much fun! They played a range of songs so all the guests were happy. The band interacted with the guests and made them feel part of the show. Vance was very professional and responsive when responding to my questions. Vance was responsible and energetic and meeting the rest of the band on our wedding day was amazing as well! They all brought great energy and worked well with our crowd. We were able to select a few songs we wanted in addition to those they are already know which was great because the song I wanted to dance to for my father/daughter dance wasn't one they already knew. Our guests Loved them! The band performed at our recent fundraiser and they were a huge success. They were easy to work with and very accommodating. Our guests thoroughly enjoyed their performance -- some even danced through dinner! We plan to have them back next year for the 50th anniversary of our event. The Groove Spot Band will completely guarantee your guests are dancing and having a memorable time. They look festive in colorful, coordinated outfits, sound amazing, have a diverse repertoire, and can even emcee! HIRE them! I can't say enough great things about the groove spot band and show. We loved their clips on youtube and were psyched to get them, as our wedding was later in November. They did not disappoint and were flat out phenomenal. Their music talent is undeniable but in general they were just fun and interacted with our guests, and really brought the same amount of energy that we were bringing, which made our wedding the celebration we wanted it to be. Two of my friends told me the next morning "the band at our wedding was good, but yours was better", which wasn't our goal but should give you a sense of what you're getting. I would totally recommend them and hope to see them again sometime as they do play other venues in MD at times. Also, Vance is great to deal with, very responsive, and even MC'd our night. The Groove Spot Band is, without a doubt, the best band anyone can hire regardless of the type of event that is being hosted. When I first encountered this marvelous band, I knew that this was the outfit that my daughter and I wanted for my granddaughter's wedding. The band members were polite, knowledgeable, and played their hearts out. The leader, Vance Wilkerson, is a consummate professional who guided us through the process and made everything easy from the time they were hired until the final event. During the wedding, they showed up on time, introduced the wedding party without a glitch, and orchestrated the entire event in an outstanding manner. The band was so good that without them the wedding would not have been nearly as successful as it was. Our only disappointment was that the night had to end and our new friends, the band members, had to leave us after the party was over. 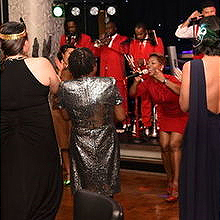 For days after the wedding, those who attended the wedding commented on the superior performance by the members of the Groove Spot Band and noted how much they enjoyed the singing and, in particular, the camaraderie and respect the band members had for the audience and each other. They were highly impressed and wanted information about locating the band for any future events they may have. In conclusion, anyone needing a band should not hesitate to call upon Vance Wilkerson. You will be grateful for the experience. The Groove Spot Band and Show is the way to go!! Energy, Professionalism, Fun, Stylish and Spectacular Musicians. They made my daughters reception unforgettable. I could not have done this without Vance! My daughters wedding had 250 guests. I am still hearing about the band. We never stopped dancing. The BEST Musicians I have encountered in a long time. Their chemistry is exhilarating and they got the party started quickly. If you are considering a band! Trust me this is the choice for your reception. Our age range was 18 to 72 years of age, and everybody got up. Vance thank you for making this one of the most memorable experiences of my daughters and my life! All of you are simply the best! Great band!! Great time!! Nonstop dancing!!!!! They contributed to one the best days of our life, and the music had a big influence on that! I got so many compliments about this band! We cannot say enough great things about The Groove Spot Band. They were absolutely amazing. We wanted our guests to have a great time and they certainly did. Much of the credit is owed to Vance and Company. They made you feel like family. After the wedding the first thing many of our guests commented on was how fun the reception was, and more specifically - the band. They are professional musicians so the music itself was great. The energy was also great. They read the crowd and brought it all night long. Literally zero complaints or constructive criticism. In the future if we're in a situation looking to book another band, there is zero question who I'm calling. Everything was top shelf. This band absolutely made our wedding the most AMAZING night of our lives. ALL of our guests were dancing the entire night, and they all raved about how amazing the music was. Not a single person was sitting once the music got started. The vocals of every singer were incredible. It brought me to tears several times... Literally. I told them which style of music we liked best, and they took it from there. 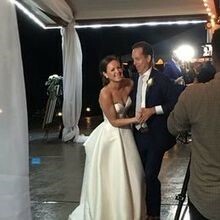 They took care of the ENTIRE wedding, from the ceremony, to cocktail hour, to dinner, and finally the dancing! They played every song I requested (and they even called me to the dance floor before each requested song to make sure I got to dance to them .. which is so great because I was getting pulled in so many directions with guests, photos, etc .. they made sure I had a chance to dance as much as possible). They kept the music on schedule, and most importantly, kept everyone dancing. They ended the night with such great energy by playing the song "Shout" and kept the pace to match everyone's dancing, no one wanted to leave! We spent so much time looking for a band or DJ, I trusted my wedding planner, Charlotte, when she immediately without hesitation recommended these guys. We are SO HAPPY they were available for our wedding ... thank you Vance for making our wedding so much fun. We wish you the best. I hope to see you at another wedding/event soon. Thank you and the band so much for such an amazing job at the wedding. Please let the group know that you all were an impressive bunch. I cannot tell you have many people told us how great you all were and especially polished. I hope to spread the word about you guys all over D.C.! Also, I am going to on the website today to give my rave reviews. Thanks again and I hope you have a great wedding season. You guys rock! The Groove Spot Band was incredible at my wedding! Switching between oldies, Motown, pop, funk, rock, etc...they had 190 people up and on the dance floor for the entire reception. My wife and I went with the 9-piece band and could not have been happier with the sound. Awesome singers, horn section, guitarists and drummer. Along with the reception, we also utilized a solo keyboardist for cocktail hour and the jazz trio for dinner. Both sessions were perfect. Vance is the band leader and could not have been easier to communicate with; he responded to calls and emails right away. We couldn't have been happier and thank the band so much for making our day that much more special. I don’t know how to thank you enough for such outstanding service. Everyone was ecstatic beyond belief with the “attention to detail” (that the band was dressed in the requested colors), the talent, and the quality and sound of the Groove Spot-Band and Show, at my Brother’s 50th Birthday Party. I was so happy and pleased with my selection. As I searched for a band that would provide an “exceptional flavor” for this party and the Groove Spot-Band and Show did just that and more, they exceeded my expectations; especially when they allowed “KEYONCE” to perform! Everyone loved that special touch!! The guests could not get enough; they would have danced until morning if sleep was not a factor. Everyone continues to tell me what a great band the Groove Spot-Band and Show was and how could they get them to service their event. Since the event, I’ve received numerous calls and inquiries requesting the Groove Spot-Band and Show’s attendance at their events, so If you’re looking for a Band that is all about PERFECTION!!!! Then Hire The Groove Spot Band and Show for your event!!! WOW!!! We were beyond thrilled with the quality and sound of the Groove Spot Band & Show at our Community Block Party. We wanted something different for our "Arundel on the Bay" Block Party this year. So we searched and found a local band that came highly recommended...WOW!! We were ALL so Blown away by their performance.. We've handed out a Ton of business cards for them. We had No idea that they would fill up the street with so many people dancing...They had All age groups of folks out dancing to their music. We could not have been happier with them. They were professional, extremely talented, and had everyone raving about what a Great Band they were. We are so glad that we hired them as our band and have great memories of our day and they were a big part of it!! So BIG KUDOS to the Groove Spot Band & Show!!! I'm a professional musician so is my wife and our families. We've been playing music all our lives. Picky is an understatement, we must have screened at least 30 bands until we found the Groove Spot Band and show. Unlike most others out there these days, they actually play their music live. Why spend the money on an actual band if they're just sequencing everything and laying vocals on top??? Plus, these guys actually read an audience, take requests and interact. There is nothing fake/canned about their performance. Its exactly what we were looking for, and we recommend them without any hesitation. Five Stars Doesn’t Give Groove Spot Band & Show Justice! One of the best and most cherished memories of my wedding was having the Groove Spot Band & Show (GSB) serenade me, my husband, and guests with songs like: “At Last” (by Etta James), “Angel” (By Anita Baker) and “My Girl” (By the Temptations)—proving this band is a pro at performing songs from various genres. Those songs and others are the soundtrack of our wedding story and I’ll always be thankful for the beautiful voices and musical talent that the Groove Spot Band provides. 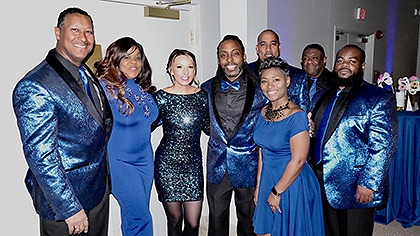 With top-notch vocals that rival most well-known R&B singers, GSB has timeless talent and a proven record for getting people out of their seats and on the dance floor. If you’re looking to ensure your guests have a great time while catering to an audience of all age-ranges, the Groove Spot Band & Show is the right choice. Kids, teenagers, young adults and mature audiences will all mingle and move together with this band. They’re also very professional and upfront from the beginning about fees and expectations on the day-of. And the band-leader, Vance Wilkerson is the most professional of wedding vendors that I’ve ever worked with. They’re also happy to coordinate a theme based on your event and have an expansive library of songs to choose from if you’d like to incorporate a playlist alongside live music at your event. Hands down, the Groove Spot Band & Show is the right choice to make for musical talent. Five stars is an understatement. What a party..and the baaand!- They ROCKED! Who were they???" Is what every soul who was at our wedding has been talking about. "The Groove Spot Band & Show!" I tell em. The Band came up big at our event. Everything went down perfectly for our outdoor rural wedding- except the weather- which they couldn't control. They were very accommodating in my musical tastes and went above and beyond what we expected. The smooth keyboard playing during the prelude and ceremony faded out to a recessional song from my CD was a hit with perfect timing to introduce our guests to us. During cocktails the playing continued to the delight of our guests as they mingled. For dinner which was in a large tent, a blues/jazz trio set up inside with us as our 150 guests dined. They were so classy, jazzy, hip, and head boppin' as they accompanied our feast with some sweet numbers both obscure and known. Already midway through the night people were lovin it, as we got so many complements on their playing and song selection. After dinner came the real treat... no, not the wedding cake, but the soulful sounds of the full 7 piece swingin' band as our guests began to shake it! The stage and dancing was in an old barn next to the dinner tent and boy therin was a barnstorming. A funkin', soul searchin', rockin' good time was had by all, as every number they played got the dancefloor packed and for a solid 3 hours! The band really knew their songs and were able to bust into classic rock, soul, funk and requests at the drop of a hat. I found out we needed a bigger dancefloor as all ages sweated it out and boogied down. They even accommodated us with an extended version of "Shout!" for a family dancing tradition that got everyone pumped up and still packed them in with the sweet slow dancin' numbers. As the evening end all of our guests shouted MORE, MORE!! We recommend the Groove Spot Band & Show to anyone looking for something that is NOT RUN OF THE MILL and...bring your dancin' shoes. How do you create an unforgettable wedding reception that your guests will talk about for years to come? Hire The Groove Spot Band & Show. We had the good fortune to have them on our big day 11 years ago, where the get-up-and-groove tunes toggled between the best songs of the last four decades. Their talent is palpable and easily ensured that our guests had the time of their lives. No one left the dance floor! I have highly recommended them to my family and friends, and will continue to do so in the future. For anyone looking to make their happily ever after even sweeter, book The Groove Spot Band & Show ASAP! 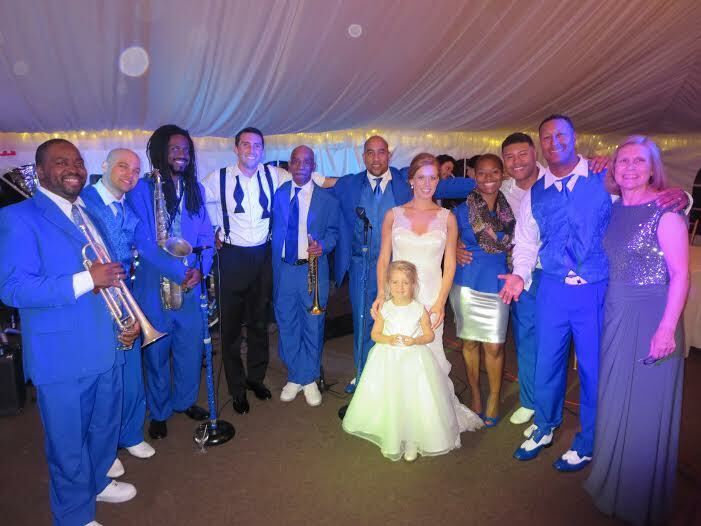 Cannot say enough about how amazing the Groove Spot Band & Show was at my wedding! We had 190 people at the wedding and as soon as dinner was over everyone was up and dancing for the entire reception. We had the 9-piece band and highly recommend them. We were thrilled with how many genres they could cover from oldies to Motown, pop, funk, rock, etc. The musicians handled cocktail hour with a solo keyboardist and dinner jazz trio as well. It could not have been easier working with the Band Leader, Vance, who was always accessible by phone and email. My wife and I could not be happier with the band, don’t hesitate to book them! Thanks to Groove Spot Band & Show for making our day that much more special. Have I told you how much I love you guys? You are the absolute best. It's hard to describe how much fun you made our wedding. It really was the best day of our lives! I wish there were more stars to give. An absolute pleasure to work with. They made our night. If you want a fun party, they're the best!!!!!!! Our sincerest thanks to you and the band for a wonderful performance! We have received a ton of compliments about the band and it was such a big contribution to making the evening so memorable for our guests. It is with great pleasure that I write this letter of recommendation for THE GROOVE SPOT BAND & SHOW. The National Cherry Blossom Festival Cultural Stage has been in existence for over 10 years, bringing the best in local, national, and international talent to the forefront, all in celebration of the gifted Cherry Trees from Japan. As talent booker, stage manager, and MC, rarely have I experienced the talent and professionalism THE GROOVE SPOT exhibits. For example, with very little notice, they were able to perform as not only THE GROOVE SPOT, but were able to accompany another artist as their back-up band. So impressed was I with their show, I rushed to offer them another spot in our schedule. As a group, TGS would be an asset to any festival, or performance venue. Well trained musicians that are versatile, classy, and entertaining are a commodity in this industry. I would love to work with them again, and highly recommend them for future engagements. Please feel free to reach out if there are any details that may still be in question, but frankly, THE GROOVE SPOT BAND & SHOW will show indeed, and prove, they are among the best around. You and Your Team did a PHENOMENAL Job performing at our wedding!! We loved every minute you guys played and Everyone Loved you all so much. You all truly made the night one we'll never forget! Thanks you so much for all of your fantastic help! We Love you Guys!! WOW! We were beyond thrilled with the quality and sound of the Groove- Spot-Band at our wedding. They were professional, extremely talented, and had everyone raving about what a great band they were. We are so glad that we hired them as our band and have great memories of our evening and they were a big part of it! The Groove-Spot Band & Show were the perfect band for our wedding. From the ceremony, to the cocktail hour to the reception, their song selections and energy level were perfectly matched for the mood we were trying to set. They are incredibly talented musicians and entertainers and they managed to get all 150 people at our wedding up and dancing the entire night. Many of our guests have commented on how fantastic the band was and several guests expressed interest in booking them for other events. I would recommend them to anybody, without hesitation. Thanks to the whole band for making our wedding such a fabulous event!!! The Groove-Spot Band were wonderful - exactly the sort of band we were looking for our wedding! Many of our guests came up to us to tell us how great the band was. They added a vocalist at the last minute so that they would be able to play specific songs I requested and had the whole floor filled with people dancing. Everyone enjoyed them so much. Thank you! The Groove-Spot Band & Show simply ROCKED. Our crowd was up and dancing BEFORE they served dinner. They met all of our needs and played the songs in the right order and at the correct times. Towards the end of the evening, they played Sweet Home Alabama right on cue. It brought the house down! Our guests were amazed at their performance and we're still receiving great feedback from people weeks later. The Groove-Spot Band took our wedding to the next level. I would suggest them to anyone. The band is top-notch professionals. We'll use them again. I could not have been happier with the Groove-Spot Band’s performance at my wedding. They were amazing! Their talent way surpassed my expectations and everyone is still talking about how amazing it was. It makes me want to get married again just to have them play, haha.....thanks so much for making the happiest day of my life even happier. “Working with Vance and the Groove Spot Band was outstanding! Vance was great - he gave great advice and was always willing to help, which was great because I was clueless, lol. The band arrived early and looking extremely professional. Vance serviced as our MC, too. The band played wonderful Jazz during the dinner - but once dinner was over they got the party started! The Groove Spot specializes in Motown, which was great because they played songs that everyone already knew. Almost everyone got up to dance - even my 82 year old grandmother! My wedding coordinator was astounded because she had tons of people wanting business cards. I'd recommend The Groove Spot to anyone who wants to have a great party." 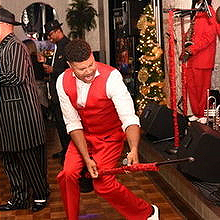 The Groove-Spot Band & Show were booked for our Corporate Holiday Party and they were absolutely wonderful! Going into our party, it was not expected that our employee's would likely get-up and dance. Well, less than a quarter of the way through the evening, the dance floor was full and it stayed that way until the end of the night. All members of the band were professional and very accommodating, to our selection of music and in taking our requests on the fly. Its days later and I am still receiving emails about how great the band was. I highly recommend them as the perfect choice for top-notch entertainment for any event. We expect to hire them again for our party next year! I wanted to Say Thank You so much for making my Birthday a Special One!! Your Music was Wonderful and I really enjoyed it. The entire night of events was very well planned and you all made such a positive impression on me and my entire group of family and friends with you Color Scheme. It made the night even that much more exciting. THANK YOU ! I would like to thank you and the entire Groove Spot ensemble for your performance at Liza & John's wedding on Saturday. The energy level was high, and you kept the dance floor packed. I especially appreciate your dedication to making the Bride & Groom happy, by agreeing to play an extra hour. Your group made a positive impression on me. I will definitely keep you in mind for other clients and future events. Where to start? EVERYONE who attended the reception was simply in AWE and kept asking where I found this band! The band and singers performed flawlessly and were very professional. There were so many people dancing at times that there wasn't any space left on the dance floor to accommodate any more! All vocalists were amazing, but the lead female singer(Ondrea) literally blew everyone away. The band played right up until the last people were left at the reception and remained as professional and energetic as from the start of their performance. Very eager to please, very professional, and very friendly people! I recommend them without hesitation. Thanks to the Groove-Spot Band & Show! Thank you so much for your nice email, you beat me to the punch. You all totally made the night!! What A GREAT PARTY, Thanks to you and your awesome band. I have had notes, phone calls, emails, and text messages stating what fun it was. Hard to beat a beautiful night with a full moon and dancing in the grass to such fun music ,I have wanted to throw a party like Saturday night's for many years. I think I had more fun then anyone. I loved my big opportunity to join you all on stage, Thank you for letting me "live my dream. So fun!!! I think we need to throw this party on a regular basis. Don't you? (I'll work on Robert this winter). You all did such a fabulous job , really I can't thank you enough, I have already given out your number. You all totally made the party. Many Many Thanks for everything, you are a wonderful group and I can't wait to get you back here. Have a great summer.